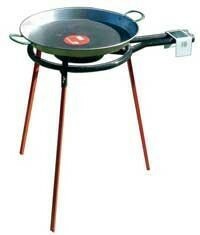 Stylish paella pan for up to 5 people. 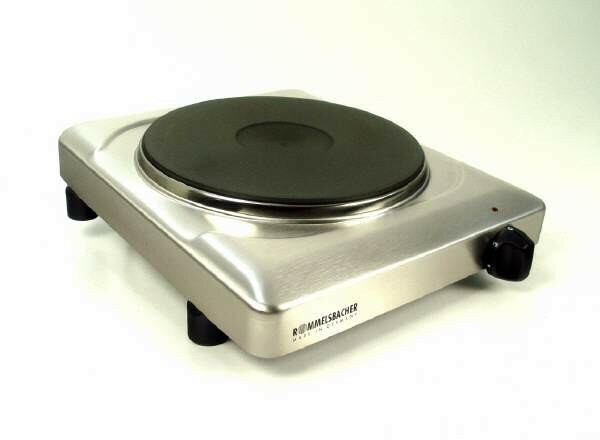 Copper with stainless steel coated cooking surface. 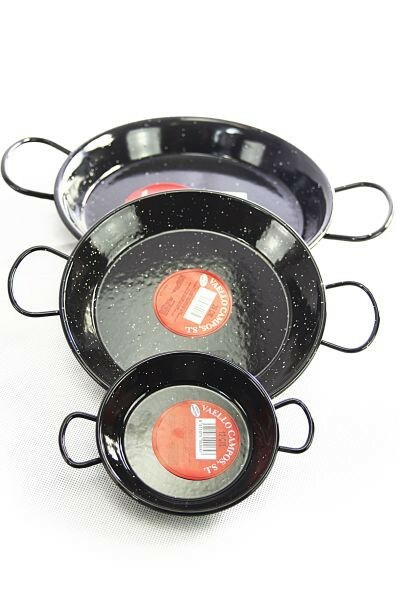 This allows you to cook with lemon or vinegar without damaging the copper surface. 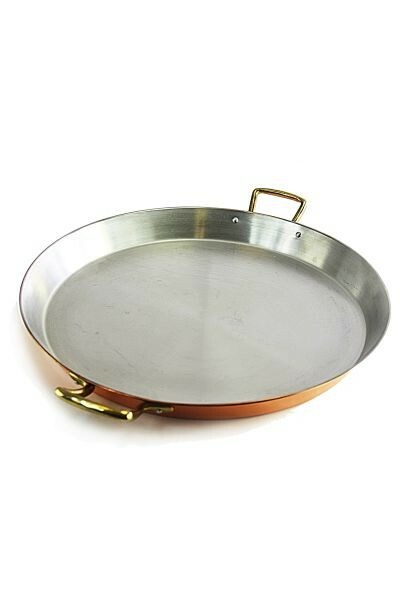 Luxurious paella pan made of copper with a diameter of 32 cm. 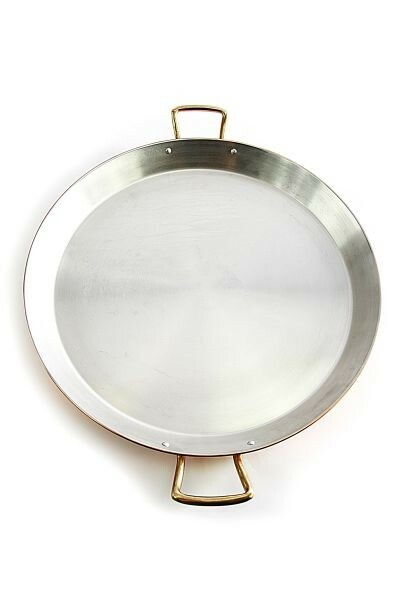 The pan is hand-made out of heavy copper and the inside is coated with stainless steel. This combination offers the best features of both materials - the easy to care stainless steel combined with the high heat conductivity of copper. 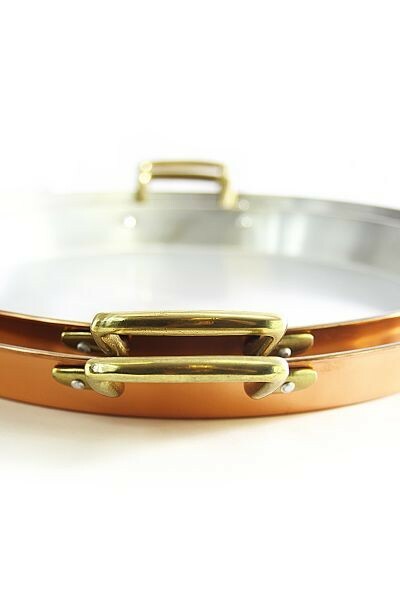 Due to the heat conductivity of of copper you can evenly heat the large paella pan over smaller flames – and thanks to the stainless steel surface you can also cook with “acids”, like lemon.